The Ethics of Children's Advertising - Are "Trix" at Work? 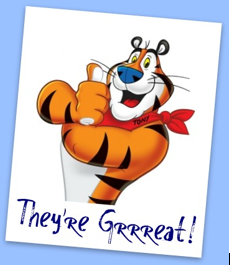 The Ethics of Children's Advertising – Are "Trix" at Work? You know you remember it. And you probably pestered your parents for it. 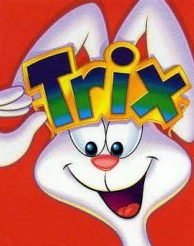 But some “Trix” are reserved for the business world. It seems that through the years, popular kids characters have had leading roles in television advertisements geared towards young Canadians, spotlighting quite often, unhealthy foods. Have you ever stopped to think “is this ethical?” or “is it just doing business”? About seven years ago, 20 top food manufacturers joined a voluntary program designed to ease off the promoting of unhealthy eating to our kids, considered to be one key factor in Canada’s increasing obesity problem. So how’s this initiative really going? Are there really more commercials aimed at kids on the TV today? Some would argue yes, others no. Should food and beverage companies be creating and targeting commercials specifically for children at all? Is this ethical? Is this using our children as a means to secure future customers? Findings show that the self-regulation of Canada’s food industry has failed and many believe that it’s time for the government to ban youth-focused food commercials altogether. Should this be the case? What about similar commercials geared towards toys and other electronics, video games, etc. The “pester factor” plays here too. Children want the latest toys and gadgets. Is it unethical to push advertising on children, who have not yet really developed a sense of right or wrong. As adults, we’ve learned how to behave in a social and business environment. We know what is right and what is wrong. Those who do participate in unethical behaviour in business do it for financial gain, promotional gain, or to deliberately hurt others. And we have means to report on that – a’hem, whistleblowing. So think about it. Advertisers target children and youth in clever (bribing?) ways, using fun characters that kids relate to, for financial gain. Is this corrupt? And it seems the Canadian government isn’t making it a priority to completely ban advertising targeted towards our kids. Should they put more regulations in place? Call it unethical. Call it corrupt. Call it what you want. The battle between ethical and unethical can be a “grey area” in business. One thing that’s important for organizations to do is to be consistent in their definition of what is or is not ethical, within their own unique industries. Creating a company code of conduct policy, in writing, that is understood, read, and signed by each employee ensures consistency. The ability to report wrongdoing anonymously, confidentially and without fear of retaliation enables employees to let the organization know about perceived wrongdoing. A place where all employees and stakeholder can raise any concerns – it takes just one tip for a potentially serious, and costly, reputational damaging activity to be brought to light and dealt with quickly and effectively before it gets out of hand. WhistleBlower Security is on your side. Employees can report on any type of behaviour they perceive as wrong, and our system goes a long way to ensuring all of your employees are experiencing the same type of job satisfaction. Our tools enable the reporting of any type of wrongdoing and your employees can feel secure that whatever they feel they need to report on, they can do so with complete confidentiality and anonymity.